Home ALLERGY ASTHMA Xolair Add-on Therapy To Treat Severe Allergic Asthma! Xolair Add-on Therapy To Treat Severe Allergic Asthma! One of the most common types of asthma is allergic asthma. This form of asthma is triggered by allergens in the air. The substances that can trigger allergic asthma include: dust mites, pet dander, cockroaches and mold. In US, 60% of the people with asthma are suffering with allergic asthma. Airways of those who are suffering with allergic asthma are hypersensitive to the allergens to which they have become sensitized. Immune system overreacts to these allergens when they enter into the airways. With this, muscles surrounding your airways become tight. So, the airways become inflamed and flooded by thick mucus. How is allergic asthma different from other types of asthma? 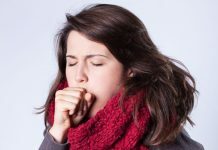 Usually the symptoms of allergic asthma are same as those of non allergic asthma, such as coughing, wheezing, rapid breathing, shortness of breath and tightening of the chest. The main difference between allergic asthma and some other types of asthma is what triggers the condition or what sets off the condition. The substances which trigger your condition are airborne allergens. People with this condition can become sensitized to certain substances. This sensitization may take several exposures, while other times, it happens quickly. Once you become sensitized, it triggers your allergic asthma symptoms whenever you come into contact with it. 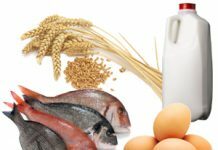 So, you need to identify and then avoid the triggers of your asthma and allergy for effective management of your condition. Thus you can attain asthma control. According to the experts, xolair helps to control asthma in patients with moderate to severe allergic asthma. 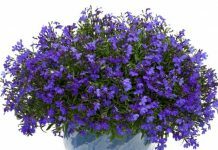 Thus, it reduces the use of oral corticosteroids to manage acute asthma exacerbations. Steroid bursts are used for your asthma control, but high use of these substances with frequent asthma conditions can lead to side effects and more number of hospital visits. Xolair is an anti-IgE therapy, which offers an improved symptom control to the patients who live with potential life-threatening reactions. Xolair therapy gives the potential to achieve a significant improvement in controlling and improving the patients’ lives who are continually suffering with this debilitating condition. Xolair therapy blocks the action of IgE antibodies, which are the main cause of inflammatory symptoms like wheezing, shortness of breath, mucous production and airway constriction. 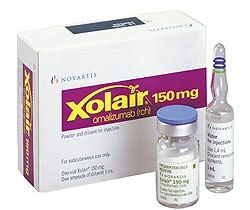 Xolair is for the patients who are older than 12 years, have moderate to continual asthma, having asthma condition which is triggered by year round allergens in the air and having continual asthma symptoms though you have taken inhaled steroids. If you include xolair injections into your existing treatment program using inhaled steroids, you can reduce the asthma attacks that are experienced. So, for long-term relief from allergic asthma, it is better to use xolair therapy.